In this week’s edition, we lament as bitcoin failed to post consecutive gains for another week and talk about a few potential catalysts for the revival of its moonward trajectory. We explain how one bad trader’s decisions managed to negatively effect some good ones, talk about a couple of coins that have been faring well amidst the recent downturn, and link for you a few of our featured stories that you might have missed out on that are probably worth reading. The price of bitcoin managed to sink a disheartening 14% in the first week of August, giving back most of the gains it had managed to accumulate in the second half of last month. Nevertheless, it is still up almost 7% over the past 30 days, keeping hopes alive of bullish HODLers that the downtrend that firmly characterized the first half of 2018 may finally be coming to an end. What still remains in play for the bull case scenario for bitcoin is hopes of an impending decision by the SEC to finally approve a Bitcoin ETF. This would not only open up bitcoin to institutional-size traders on Wall Street but give it a much-needed air of legitimacy which has sorely been lacking. Though OKEx’s move is legally justified, it has created a large amount of investor uncertainty within the bitcoin community and attracted outright ridicule from several experts in the crypto exchange industry. Although its not the SEC Bitcoin ETF approval that everybody is so anxiously awaiting, bitcoin did get a ringing endorsement from the owners of the New York Stock Exchange (NYSE) last week, in the form of their announcement of plans to open a federally regulated bitcoin market. Their new company, called Bakkt, plans to open the accessibility of bitcoin to inclusion in mutual funds, pensions, 401ks and other retirement plans. This would also help pave the way for widespread adoption of crypto-backed debit cards and crypto-based retail payments across the entire United States, with a final outcome being the eventual replacement of credit cards with bitcoin. The thought process behind the creation of Bakkt is that by bringing bitcoin to a market that has high standards for regulation, perhaps the general investor will feel safer about using it and even making investments in it. As OKEx proved just days earlier, a lack of strict regulation indeed leaves the doors of uncertainty open when it comes to bitcoin, potentially causing damage even to those who always play by the rules. Intercontinental Exchange, the owners of the NYSE and other global exchanges, have partnered with Microsoft, Starbucks, and Boston Consulting Group, creating a joint venture among some of the world’s biggest retail titans. Last week was a doozy for most coins, with only 5 of the top 100 by market cap not finishing in the red. Inherently tied to the value of bitcoin, many coins suffered double-digit losses, some sinking as much as 20 or 30%. However, there were a couple coins that managed to do just tremendously amidst the bloodbath, gaining in value not only relative to bitcoin but to the dollar as well. What were they? Using our proprietary Goodness Index (GI) formula (which we outlined in detail last week), we identified two certifiable winners that were up in price on heavy trading volume, as compared to BTC. It should be noted that of the top 50 coins by market cap, the average GI score was 1.81 last week, with a standard deviation of 26.3. Hshare is a next-gen cryptocurrency that aims to serve as a bridge between block-based blockchains like BTC and ETH (and just about every other blockchain) and blockless blockchains, such as those used by Byteball (BYTE) and IOTA (MIOTA). It uses a hybrid Proof of Work (PoW) / Proof of Service (PoS) hashing algorithm and was created to act as a DAO or decentralized autonomous organization. This means it contains the means for self-governance and can process transactions from coins on other blockchains without the need for human oversight. So why is HSR, up 10% in just the last 2 days, taking off in a week when bitcoin has been hitting the skids? There’s good reason: the project is currently undergoing a transition from its beta chain (just a simple PoW blockchain not much different from bitcoin) to its own main chain, which is the fruit of its developer’s labor. Pre-existing HSR coins will be “swapped” for the new coin on the main chain, called Hyper Cash. This serious network upgrade has attracted quite a bit of attention from the cryptocurrency community at large and been reason for celebration among long-time HSR holders. In addition to implementing a fully-functioning DAO, the new coin will offer some pretty bold features for a cryptocurrency, including quantum resistance, a built-in exchange and parallel blockchaining that will not only allow for lightning-fast transactions but a vast degree of scalability as well. In case you were previously unaware, Ethereum Classic is the original Ethereum blockchain that did not roll back the chain to cancel out transactions from one of the biggest crypto hacks that has ever occurred. Due to an exploited coding blunder, hackers made off with several million dollars worth of Ethereum that was raised during the ICO for an early Ethereum token. Though the project represented by the token is no longer in operation, it set the stage for an intense philosophical debate of whether or not a coin’s blockchain should be altered in the event of a major hacking event. The “yes” camp, backed by developer Vitalik Buterin, won out in the end, and the popular version of Ethereum as we know it today (ETH) contains the rolled-back blockchain which in effect nullified any transactions related to the hack. The “no” camp, insistent on keeping an Ethereum with transactions concerning the hack in place, refused to accept Vitalik’s “new” Ethereum, and is now referred to as Ethereum Classic (ETC). What caused ETC to post 16%+ gains against bitcoin on heavy volume in a week when all but 4 other coins in the top 100 were down? As pointed out yesterday by our resident technical analyst, Jonathan Morgan, Ethereum Classic was recently announced as headed to exchange titan Coinbase, to be listed among 4 other top coins. ETC still enjoys all of the perks of ETH but trades for just a fraction of the price, considerably distanced from the limelight Ethereum’s glory. However, because of Coinbase’s announcement that they are wrapping up final testing for ETC wallet hosting, it will now be accessible on one of the world’s biggest and most trusted cryptocurrency exchanges. This will no doubt open up a huge market of potential for the coin, perhaps restoring some of its credibility. It should be noted that most of the Ethereum illicitly obtained during the hacking incident was immediately frozen by the exchanges to which the hackers sent it, meaning very little of the hacked ETC was ever brought to market. This implies that (sans the endorsement of master developer Vitalik Buterin) ETC is every bit as good a coin as ETH, but just lacks the level of media and community attention that ETH enjoys. We recently wrapped up a 3 part series on the legend of bitcoin’s mysterious creator, Satoshi Nakamoto, in an attempt to provide a thorough summary of all that is currently known about him, or her, or they. In the first article, we compiled links to all (or most) of his original content, such as the bitcoin whitepaper, Satoshi’s posts on the P2P Foundation forum, and his posts on his self-created bitcointalk forum. We also present some of email correspondence that was made public between himself and other parties. 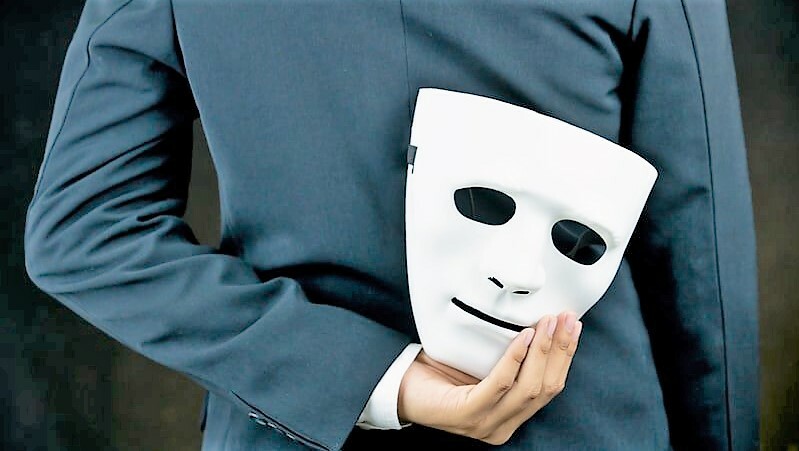 In the second article, we presented a list of personalities previously suspected by the media to be Satoshi Nakamoto and explained why most of them are unlikely to be him (the glaring exception being early cryptographer and cypherpunk Nick Szabo, who might still actually be Satoshi, though he denies this). In the third article, we presented some novel theories about Satoshi’s identity, taking into consideration that he might very well not be one person, but a collective of individuals, put together by the U.S. government or a well-funded consortium of motivated parties. One thing that remains for sure is that the mystery of Satoshi remains one of the internet’s greatest, as he is currently sitting on a fortune of close to $7 billion – or perhaps a lot less if he somehow lost access to the private keys of his untouched stash of almost 1 million self-mined bitcoins. If this proved to be true, it would also render the tale of Satoshi Nakamoto one of the biggest bummers of all-time. A few weeks ago, we covered the story of a recently-located Russian shipping vessel that was scuttled during wartime off the coast of Korea in the early 1900s, thought to have an enormous gold treasure on board, and that such treasure (even though never actually identified) was the means for the generation of a gold-backed ICO. Well it turns out that, in addition to their not actually being a gold treasure, the ICO was a fraud all along, and its masterminds are now pretty much wanted criminals. That didn’t stop the investment group responsible for the ICO from raking in millions from those blinded by the combination of two lucrative words: “ICO” and “gold.” It just goes to show that perhaps all that glitters in crypto is not gold, as well. A cunning new scam that involves tricking phone service providers into transferring cell phone numbers from one simcard to another payed off to the tune of $5 million for some fortunate scamsters, in that they used the phone number to reset the passwords to a bitcoin exchange account sitting on a huge pile of bitcoin. Though the service providers are definitely the party at fault in this instance, the story provides a good reminder of the dangers of keeping huge sums of money on exchanges, and that well-planned security measures are needed when protecting life-changing amounts of your crypto stash. Ross Ulbricht, the imprisoned 34 year-old mastermind of the darknet’s Silk Road marketplace, is now officially on Twitter. Ulbricht, who is currently serving two life sentences without the possibility of parole, dictates his tweets over the phone, which are then typed into his account on his behalf. He hopes to take advantage of the rarely granted opportunity to make a public plea for his innocence. Ulbricht’s matter of guilt has been the subject of much philosophical debate, in that it is frequently questioned whether or not he should be held responsible for the actions of others who used his website to buy drugs and engage in other illegal activities. What is undebated is the fact that he operated a website that skirted several laws, but the point of whether his crimes are worthy of the punishment of having to spend the rest of one’s life behind bars remains highly contentious.